Want to engage in great discussions about books? Meet new people? Eat lunch with friends? 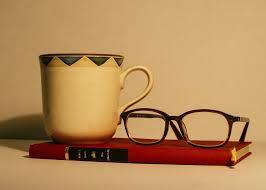 Join us for a new adult monthly book club program called "Books Over Coffee." On the last Wednesday of every month we'll meet to discuss the selected title. Books are available each month ahead of time, and will be available in audio & ebook format. You bring your lunch, we'll provide the coffee and tea. Registration is required. "Clock Dance" by Anne Tyler is our April selection. Hope to see you there.